Nice little town, at least that was my impression after a short visit of one Sunday morning. What I found most impressive are the kilometer and kilometer of maize fields. This looks to me like high tech maize growing, its the way it should be done. This being one of the older towns of the Free State it is surprising not to find much history. My main source here is the Encyclopedia of Southern Africa. The first attempt to establish a town was made in 1862, but because the people who initiated this could not agree on a site nothing came of it. The next attempt was made in 1872 which than let to the establishment of Hoopstad in 1876. Initially it was going to be called Hauptstad, after the surveyor AP Haupt. But since this could lead to confusion, the name Hauptstad could be translated to capital town, it was changed to Hoopstad, town of hope. It became a municipality in 1905. 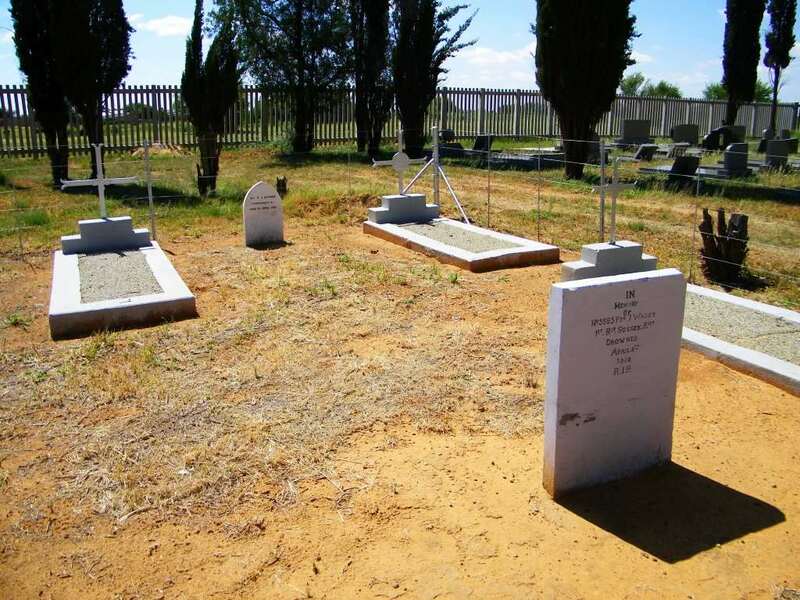 The foundation stone was laid by the president of the Free State F.W.Steyn in 1891. 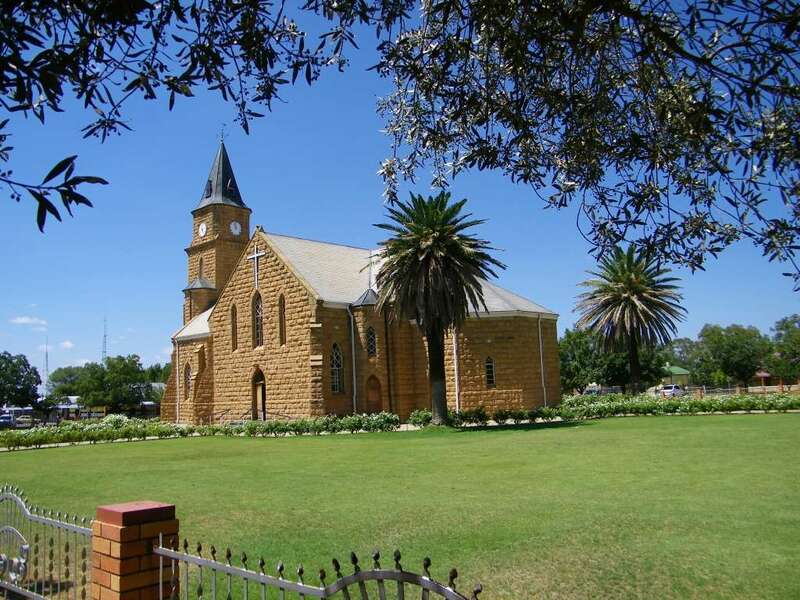 Its one of those beautiful Free State sandstone churches. A monument to the child hero Japie Greyling is in the yard of the NG church. He became a hero because he would not give away the information about the whereabouts of the commando in which his dad served, even under threat of being executed. The full story of Japie Greyling can be read here. One detail that is not on this website is that 30 years later captain Seely wrote a letter to Japie expressing the desire to meet him again and to again shake his hand for this act of bravery. It goes back to the late 18 hundreds. 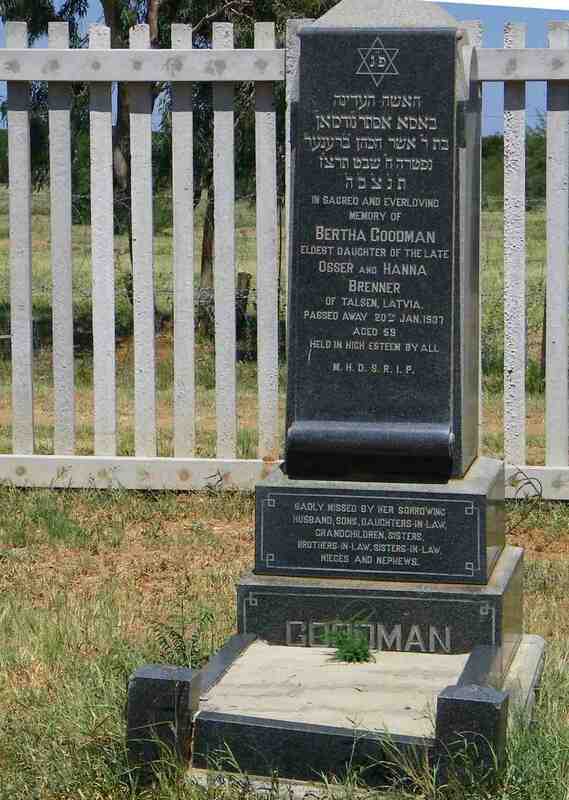 With a section for the British killed or died during the Boer war in the area. Of interest I found one of the Jewish grave stones which states the origin of the person as coming from Latvia. Its so amazing, people coming to South Africa and into the Boer republics from all over the world. 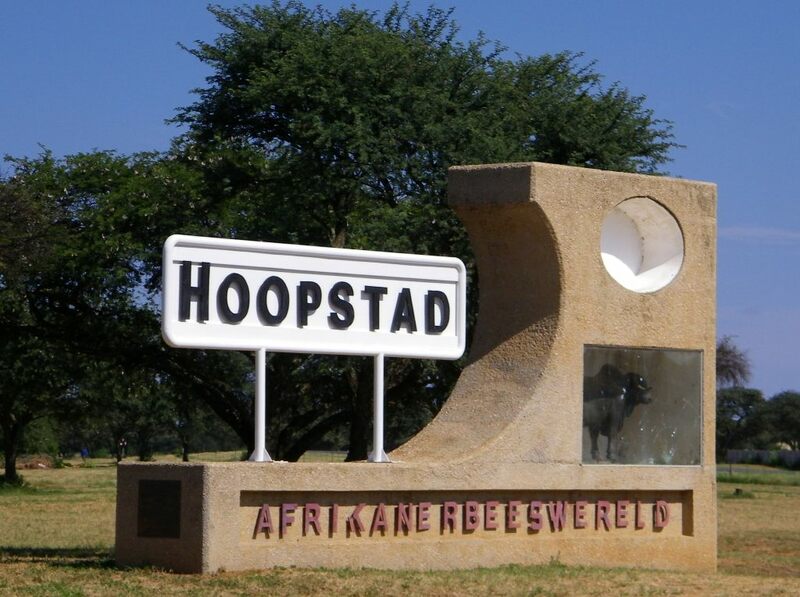 What made them choose Hoopstad in the Free State?